On August 29, 1966, The Beatles ended a US tour at Candlestick Park in San Francisco, California, and then declared there would be more concerts. In future they would only make music in the controlled environment of a studio. Two years, five months and one day (or 885 days) later, on January 30, 1969, they relented, a little, and gave one final live performance, unannounced, atop their Apple building at 3 Savile Row, London. 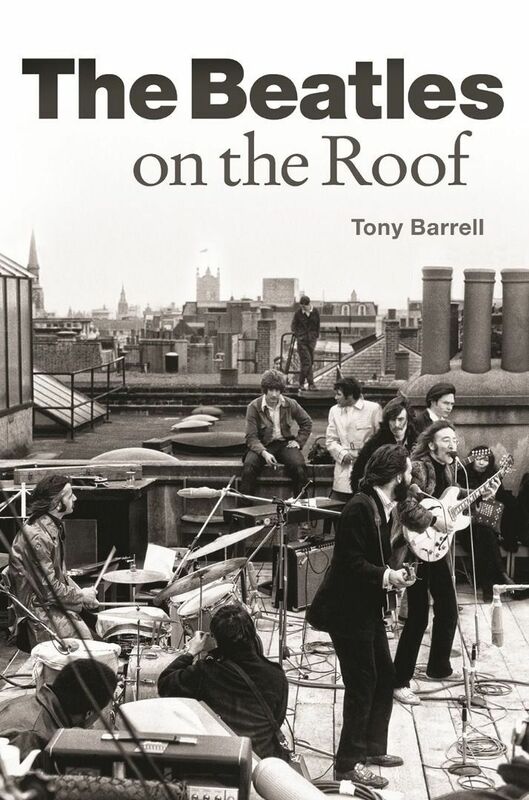 The 42-minute “Rooftop Concert” that brought part of the city to a standstill is an essential part of Beatles lore, and Tony Barrell’s book tells all about the famous moment. Going back to 1966, The Beatles weren’t yet a band in full crisis, it was mainly the touring that was killing them, a relentless grind of Beatlemania that saw the “Fab Four” trapped in hotel rooms around the world then escorted by police outriders to an arena or stadium to play music drowned out by screaming fans. Also that year, Beatles records had been burned in the Deep South of the United States after John Lennon’s infamous “Jesus” comments, there were death threats when they played at the cultural temple the Budokan in Japan, and the band was roughed up in The Philippines after inadvertently snubbing First Lady Imelda Marcos. The ensuing studio years produced “Sergeant Pepper’s Lonely Hearts Club Band” in 1967 and “The Beatles” (also known as “The White Album”) in 1968. Such increasingly innovatory music justified the band’s withdrawal from live performance, with the added reasoning that these studio sounds would be near impossible to reproduce on stage anyway. By the second half of 1968 though, the previously unbreakable bond of John, Paul, George and Ringo was being pulled apart by personal and professional differences. The “Mop Top” days were over and being a Beatle wasn’t a lot of fun anymore. Paul McCartney, as he had always done, particularly since the death of manager Brian Epstein in August 1967, was prodding the others into action, particularly a return to live work, and there was talk of playing gigs for the recording of a TV special. But where? Among the grandiose ideas being kicked around, with little real enthusiasm, were on a cruise liner, at an amphitheatre in North Africa, back at the Cavern in Liverpool, or Liverpool Cathedral, the Grand Canyon, the Houses of Parliament, the National Gallery and the former railway engine shed called The Roundhouse in London. Barrell lays it all out in entertaining style and reiterates how during the tense recording sessions for “The White Album” between May and October 1969, personal and creative rancour erupted within the band, leading Ringo Starr to quit temporarily. The next stage in the beginning of the end came when rehearsals began at Twickenham Film Studios in January 1969 as part of a planned documentary to be called “Get Back”, showing the Beatles preparing for their return to live performance. Again, the largely disinterested band was being pushed along by McCartney. The reluctant rehearsals on the cold and soulless sound stage were marked by ill-feeling on full display before the cameras, leading this time to George Harrison’s temporary departure from the group. As a condition of his return a week later, he insisted The Beatles reconvene not at Twickenham but at their own under-construction Apple Studio, and complete the recordings with the help of guest keyboard player Billy Preston. This latter was a shrewd move by Harrison, who knew that the presence of an outsider would put the band on its best behaviour and focus their efforts, as had happened when Eric Clapton guested on one track on “The White Album”. 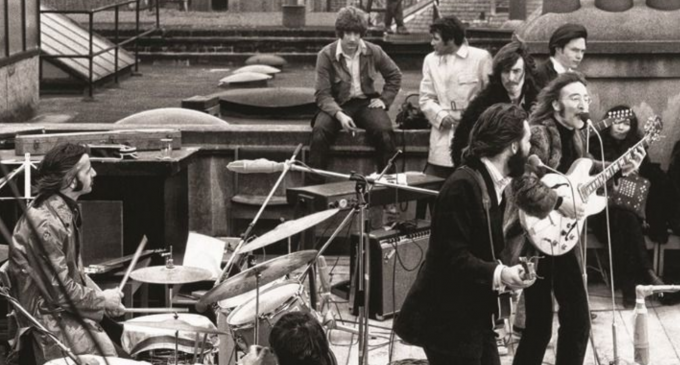 Harrison also nixed the idea of a live show in front of an audience, leading to the conceiving of the “Rooftop Concert” as the climax of what became not “Get Back” but their swansong “Let It Be” film. Barrell gives a full recounting of all these events leading up to the surprise 42-minute set during which The Beatles were heard playing nine takes of five songs before the Metropolitan Police Service put an end to the unauthorised music that disrupted business and traffic throughout the district. Heard but little seen: the loud music boomed out all around but from the street below the band was invisible atop the roof of the five-storey Georgian mansion. The cliquey and conservative Saville Row was, and still is, a specialist street where craftsmen tailor exquisite fabrics into beautiful suits for businessmen, celebrities, aristocrats and royalty, and complaints about the noise soon began. Hundreds and hundreds of books have been written about the Beatles, both full biographies and others on specific segments of their reign at the “Toppermost of the Poppermost”. Some of these books have spotlighted the odd happenings at their company Apple, but Barrell’s is the first we know of dealing with just this one event. Inevitably, much of it is familiar material that has been covered before, such as the Hells Angels’ visit to Apple, Lennon and Yoko Ono’s heroin use, and how McCartney played the cold windswept roof with the setlist from those final shows in 1966 still taped to his Hofner violin bass. Apple receptionist Debbie Wellum ls one of the insiders to give her account, and we also learn how the event could have been scuppered before it began when earlier on the day two technical engineers bringing equipment by car were stopped by the police who thought they were burglars. The pair managed to verify their ownership of the car and gear. And – some Beatles trivia – film director Michael Lindsay-Hogg travelled in to Saville Row from Hampstead where he and his girlfriend Jean Marsh – later of “Upstairs Downstairs” fame – had borrowed a flat from Liverpudlian actor Norman Rossington, who played The Beatles’ road manager in the 1964 film “A Hard Day’s Night”. Finally, Barrell places it all in contemporary context: Concorde, astronauts, Biafra and so on, though perhaps he overdoes it at times, such as the tangential mention of Spike Milligan’s Grandmother-Hurling Championship taking place on the same day. Still, love The Beatles, love the book. PS: Although The Beatles were falling apart personally, anyone who watches them play together on January 30, 1969 can immediately see that their animosities are temporarily put to one side and they are in their element and happy. What’s more, it’s apparent that they wouldn’t necessarily need orchestras, moogs, mellotrons and session musicians to augment them while playing live. True, Billy Preston is an excellent addition, but even without him the rooftop concert would be a – brief – joy.